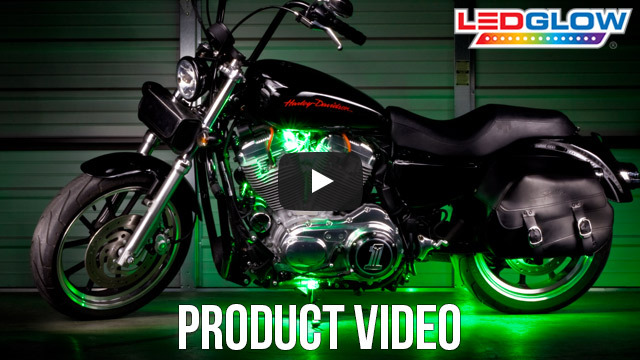 LEDGlow’s Green LED Pod Lighting Kit produces a solid green illumination under your bike for a stylish and visible look while riding at night with 8 waterproof LED pods. Each pod light features 5 SMD LEDs to create an ultra-bright glow. LEDGlow's Green SMD LED Pod Lighting Kits add custom green accent lighting to your motorcycle or ATV at an affordable price. Each pod features 5 SMD LEDs, and the featured SMD LEDs allow for a lower profile pod that is only .30" thick, as well as adding a crisp and vibrant green color to your bike. Each pod features a modular connector that lets you power this kit with either a control box, on/off switch, or by simply connecting it to any 12 volt power source. Each waterproof LED pod includes 3' of power wire, 3M tape, and mounting screws for a quick and easy install. 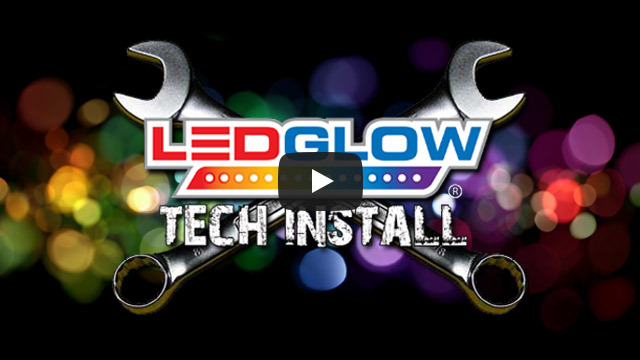 LEDGlow includes a one year limited warranty and free technical support with every Green SMD LED Pod Lighting Kit. The lights were very easy to install and they look awesome. These lights were easy to install and provide quite a bit of lighting. I have never tried to install something like this and I installed them myself without any issue. The wires on this product are thin which was my only concern but they have held up nicely even in the rain. I would recommend this product for those that aren't sure about accent lighting and want to try something new for a reasonable price. When I upgrade bikes I will upgrade the lighting to another LEDGLOW product. I am very satisfied.